Categories: Saxophones, Tenor Saxophones. Tag: scroll. The main components of the Category Five are manufactured by hand. 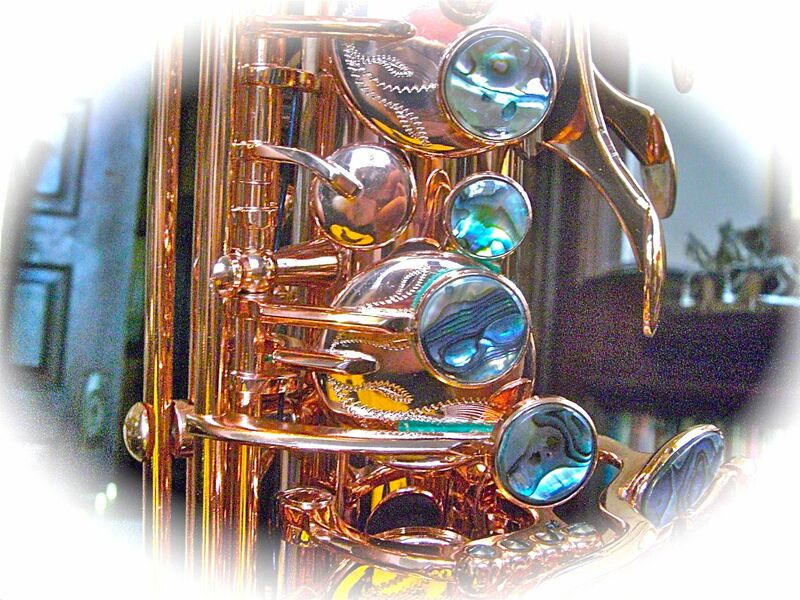 They are not machine formed under high pressure, as forming metal under high pressure (the way most saxophones are made) “work hardens” the metal and leaves it far less resonant. Yes, this process is very expensive and time consuming, but the results are spectacular! The Category Five sings with a full voice with unmatched tonal complexity and gives instant response. This level of response is only achievable through hand forming, and cannot be duplicated through any other manufaturing process. 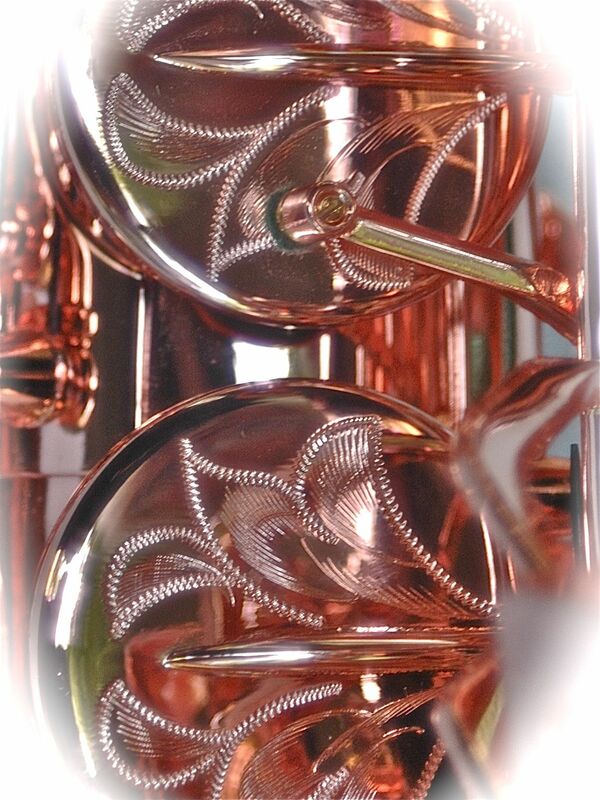 The special alloy used in the Category Five is a unique “recipe” of rose brass and is available ONLY on this model. 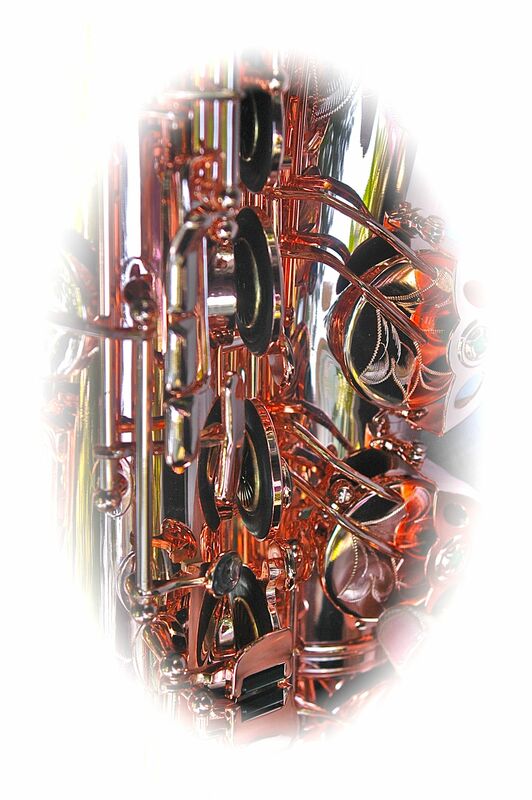 The high copper to zinc ratio gives a rich robust tone full of overtones. The high notes are not thin and the low notes are not bombastic. 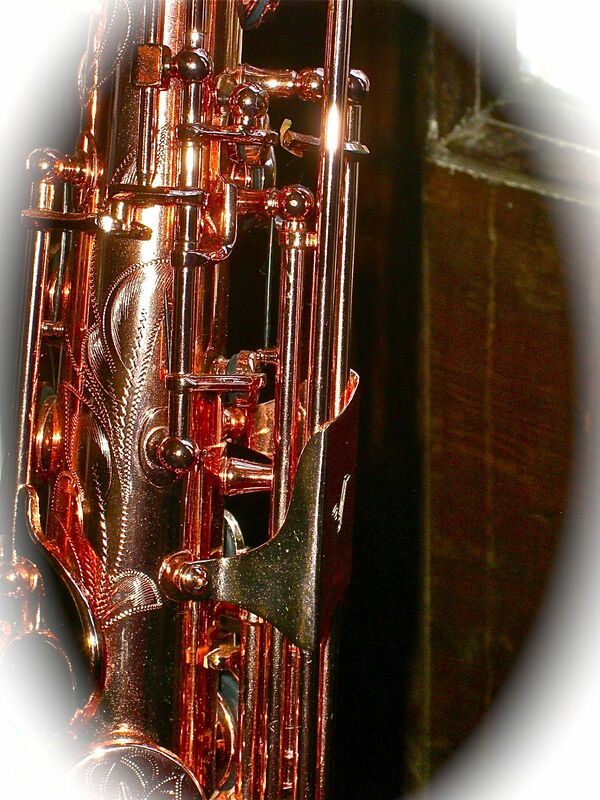 The Category Five is the ONLY saxophone with four octave vents, rather than the usual two. The additional vents (one on the body and one on the neck) allow unmatched intonation and even voicing. By increasing the vent area 100%, the Category Five is the most in tune and even playing saxophone of all time. This system is exclusive to the Category Five and is available nowhere else. 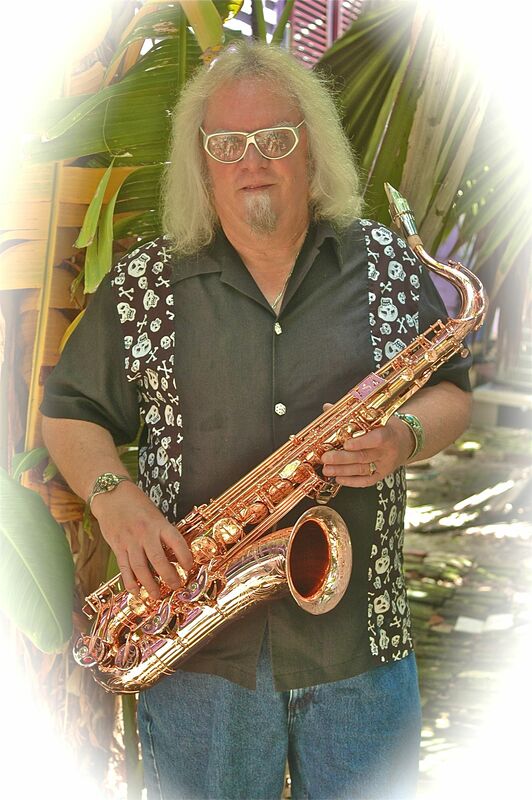 Modern saxophone literature demands a four octave range, yet all other saxophones manufactured today ignore this fact. 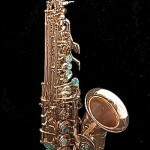 The Category Five is the ONLY saxophone on the market which gives the player assistance with the altissimo notes. 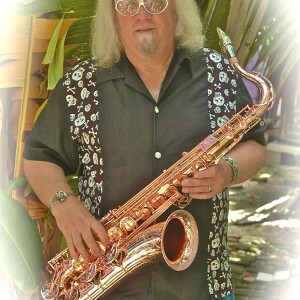 I don’t undertand why the other saxophone makers have chosen to ignore this issue, but they have! Our system (operated by the left thumb) makes the altissimo notes easier to produce, makes them much more in tune, and gives them a very even voice. 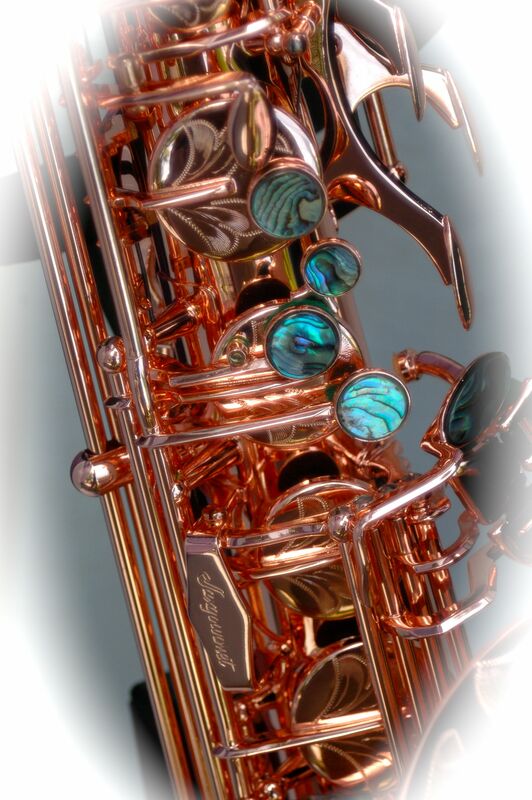 The unique bore taper and tone hole placement of the Category Five saxophone gives it the largest dynamic range of any horn on the market. The larger bore allows for an unusually rich lower end and makes the horn very free blowing. 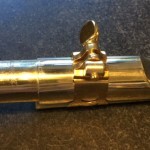 Our bell is has a unique taper and is the largest found in the industry. 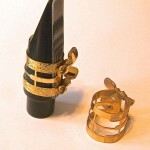 It allows the Category Five saxophone to project and be heard over amplified instruments. 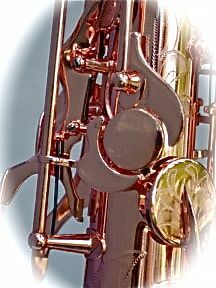 Buyers of the Category Five saxophone may choose to add (at extra cost) a solid silver neck made exclusively for this model. This neck gives a different tone and even quicker response, and gives the player more flexibility in different musical situations. 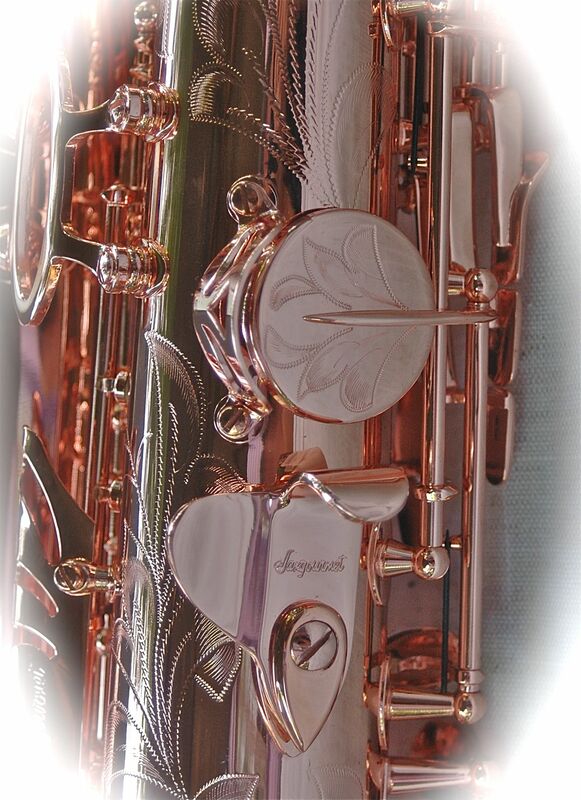 All our Saxgourmet saxophones come with black kangaroo leather Saxgourmet pads by MusicMedic as original equipment. These pads are not available to any other saxophone manufacturer. We use these pads exclusively on our saxophones because they are the most durable pads available anywhere, at any price. Kangaroo leather is also very supple, and does not stick and is extremely quiet. The felt used in these pads is woven, not pressed as is used in most saxophojne pads. Woven felt retains its shape far longer, and does not distort with changes in temperature and humidity. The woven felt used in these pads is quite firm, with a Rockwell hardness of 55 (most pads have a Rockwell hardness of 40) which gives the horn a very precise and positive feel. The resonators used in the Category Five are airtight Maestro resonators, again from our good friends at MusicMedic. 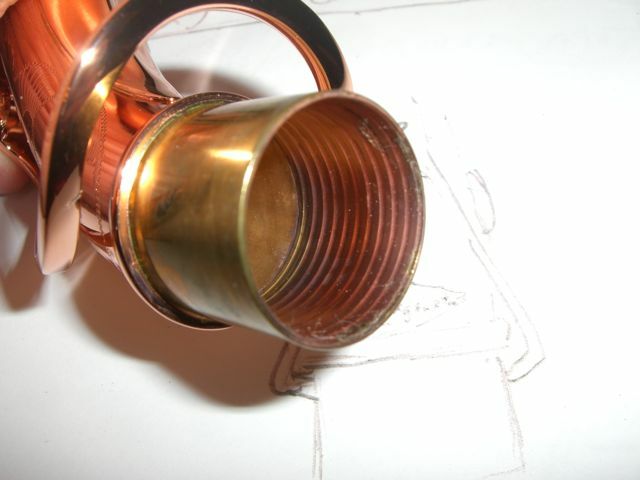 The resonators are solid copper, and are hand installed with a through rivet. The Maestro resonator gives an airtight seal by means of a exterior perimeter ring, and helps the pad retain a tight surface as well as eliminating any “blow through” leaks or moisture accumulation under the resonator. 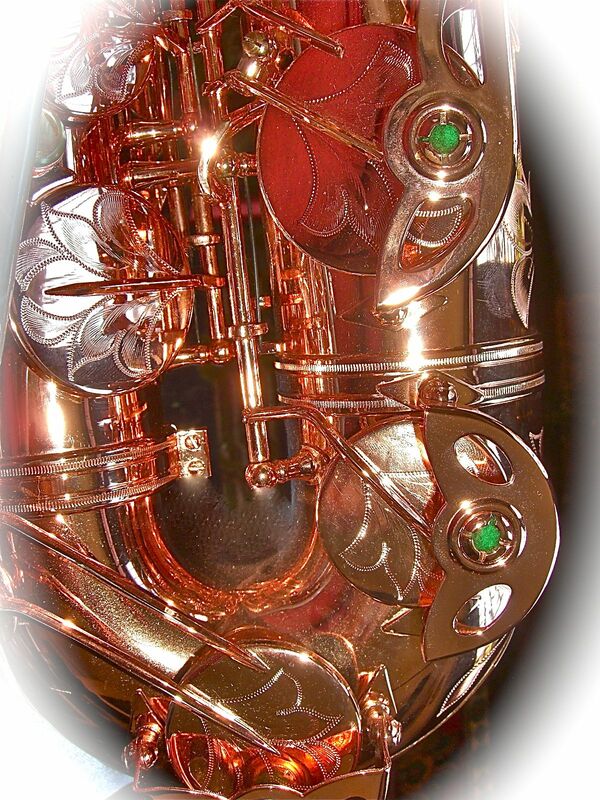 No other saxophone maker uses Maestro resonators as original equipment. The Category Five is beautifully plated in 100% bright copper, and this finish is then sprayed with a durable epoxy clearcoat to preserve and protect it. 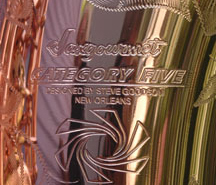 Prior to plating, each Category Five is extensively hand engraved. 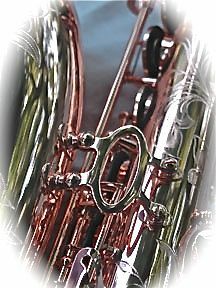 The engraving (which is slightly different on each instrument) covers the bell flare, bell, bow, body tube, neck, and all key cups. 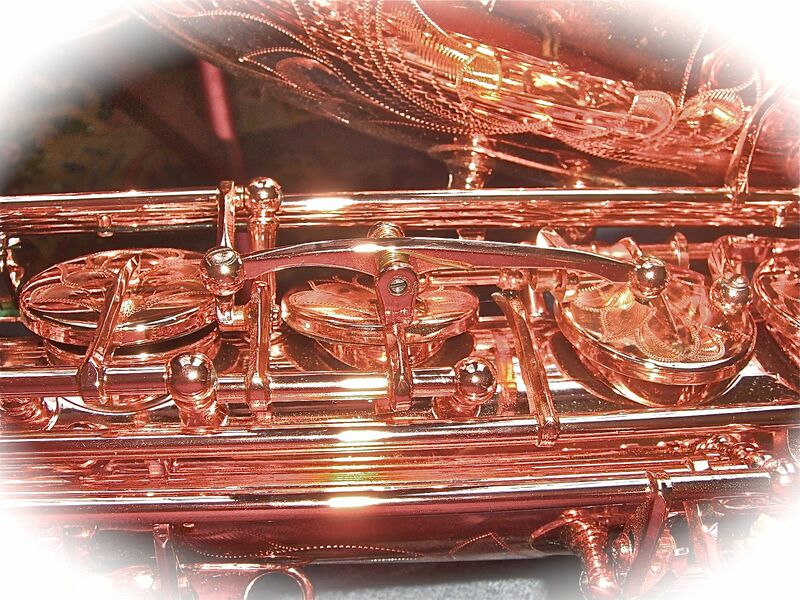 No saxophone on the market today has more engraving. The key touches used on the Category Five are genuine deep water abalone. The natural abalone shell harvested from deep waters is far more beautiful than the commonly seen bay variety. The colors are much more vivid and the patterns are very complex. Of course, the keywork on each Category Five is hand fit by a master craftsman. We took extra care in the design and placement of the key touches so the horn feels wonderful in the hands. The palm keys and front F mechanism were given extra attention, and will really amaze you. We’ve added a few other things that I know you’ll agree make a lot of sense: the low C, B, and Bb keys all have double arms so they are nice and stable and don’t move in a horizontal plane. The Bis key has a screw adjuster. The lower stack has a screw adjustable F# helper bar to make sure this critical adjustment is always air tight. 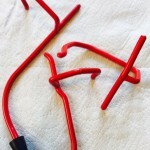 The low B and Bb key guards are individual, not a single unit, to provide maximum protection. 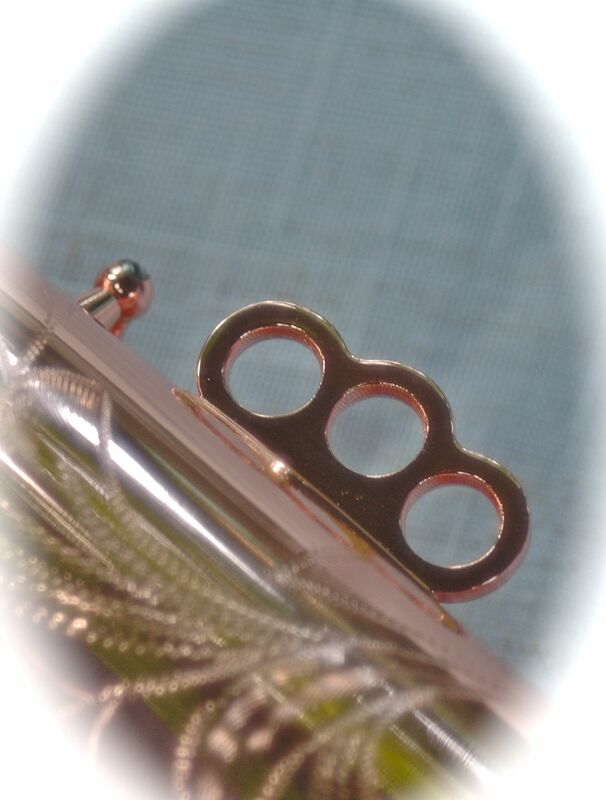 The strap hook has three rings to accommodate different brands of straps and different playing positions. 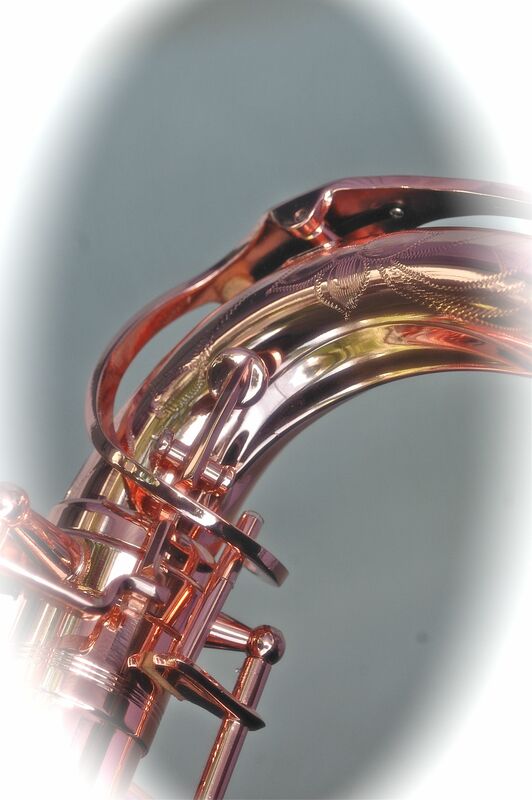 The thumbrest is our famous extra large Saxgourmet ergonomic design. Of course, we’ve added our “never stick” G# mechanism. Needless to say, the Category Five is quite unlike any other saxophone on the market today, and is the standard by which all other horns will be judged. 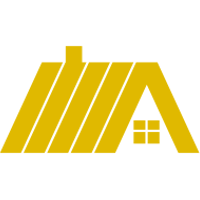 Take a look at the videos below to learn more about the Category Five and feel free to contact us with your questions.